There are some parts of central north Oxford where prices for family houses are similar to prime areas of south-west London (about £1,000 per sq ft) whereas, for the moment, the most expensive houses in Cambridge will command about £750 per sq ft. The large number of science and technology companies in ‘Silicon Fen’ (AstraZeneca has just moved its HQ to the city) means that demand for good family houses is rising. Oxford is the clear winner simply in terms of volume as the calibre of the Cambridge private schools is exceptionally high. Oxford has The Dragon, Summer Fields, Oxford High School, Headington, Magdalen College School, St Edward’s and Chandlings Manor. Nearby are Radley and Abingdon, Cothill House and St Hugh’s. 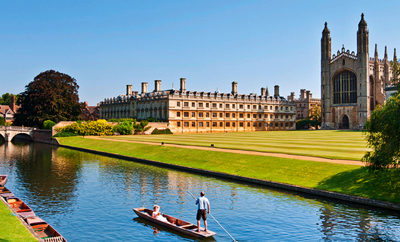 Cambridge offers The Perse, The Leys, St Faith’s, King’s College prep and St John’s College prep. Cambridge easily wins the battle for most Nobel Prize winners living in the city-with more than 50 holders of the three science prizes-working at the university, at more than 1,400 technology companies and at the Cambridge Science Park. Again, the volume of museums and theatres in Oxford means it slightly has the edge-Cambridge suffers from being about a third of its size. 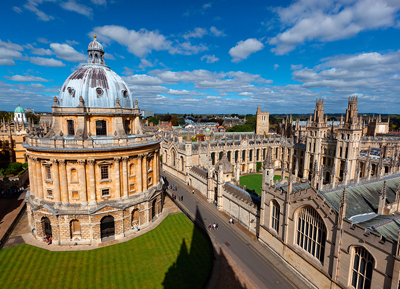 In Oxford, there’s the Ashmolean Museum, New Theatre Oxford, Oxford University Museum, Pitt Rivers Museum, Christ Church Cathedral and the University of Oxford Botanic Garden. In Cambridge, you’ll find the Fitzwilliam Museum, the Corn Exchange and the Cambridge University Botanic Garden. The proximity of Newbury and Cheltenham to Oxford means that both Flat and National Hunt fans are catered for as well as followers of polo (at Kirtlington) and horse trials (at Blenheim Palace). But it’s a close-run battle when it comes to racing and Cambridge doesn’t lie far behind with Newmarket on the doorstep. Oxford gains the edge with hunting (with the Heythrop and Bicester) and fishing (on the Windrush and Cherwell), but Cambridge is nearer to the cream of partridge-shooting country. It’s a close call, but Cambridge has a marginally faster service to a London terminal (King’s Cross) and there’s also the option to catch the Liverpool Street train (although it takes longer). Oxford has one or two peak trains that reach Paddington in less than an hour and Heathrow Airport is 50 miles away. But, in Cambridge, you’re also within easy reach of Stansted Airport and the city airport has more international flights. It’s a clear finish. With the Cotswolds on the doorstep of Oxford, the Fens just can’t compete. For those looking for a country house within easy distance of Oxford, there are plenty of lovely villages such as the Miltons, the Haseleys, Tackley, the Tews and Kingham. Cambridge has some good options, including Grantchester, Great Shelford and Horningsea- plus, further afield, there’s the Suffolk and Norfolk coast.